Firearms News Contributing Writer Scot Loveland interviews Tom Alibrando who is the LE National Sales Manager for IWI and gets in some trigger time with the Gailil ACE pistol. The Ace was also our cover story in Firearms News Issue 2, 2018. 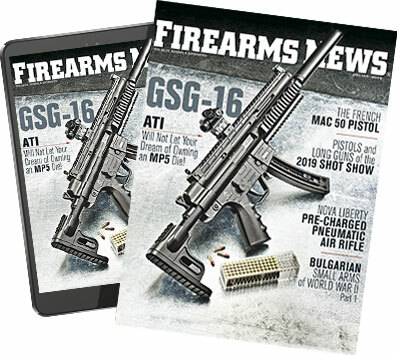 You can subscribe to Firearms News both in print or digital.